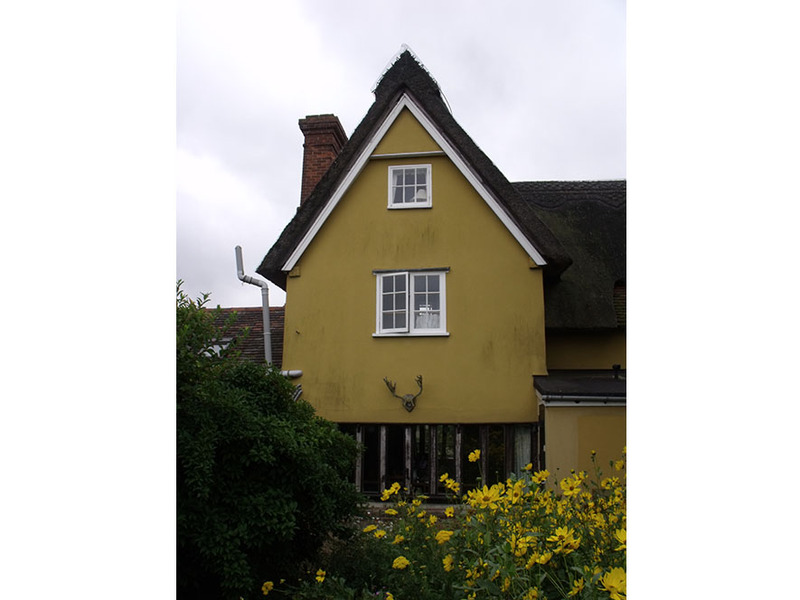 This Grade 2 listed cottage in Hartest is an interesting building showing signs of previous importance due to its’ 3 storeys and has ornate chimney addition. 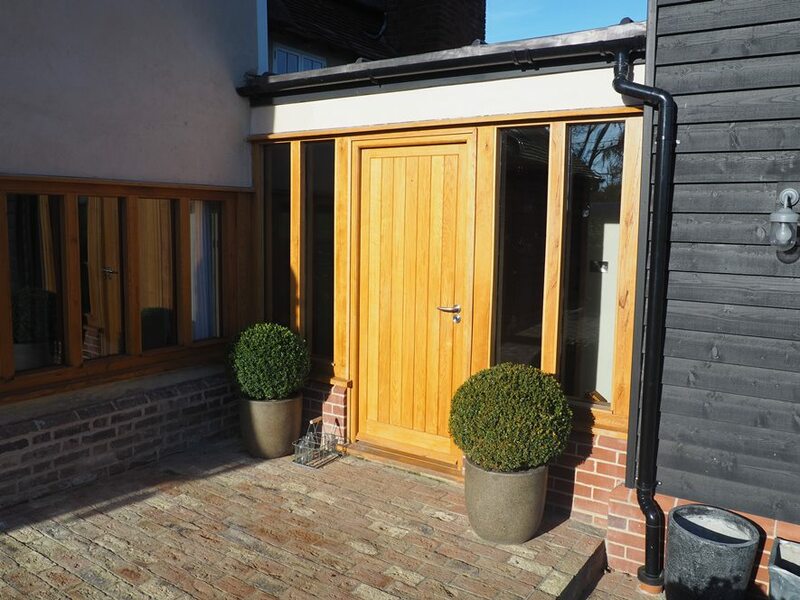 The client recently purchased the cottage and wanted to create some additional space to include a master bedroom with en-suite, an open plan kitchen/dining area and a new utility room. 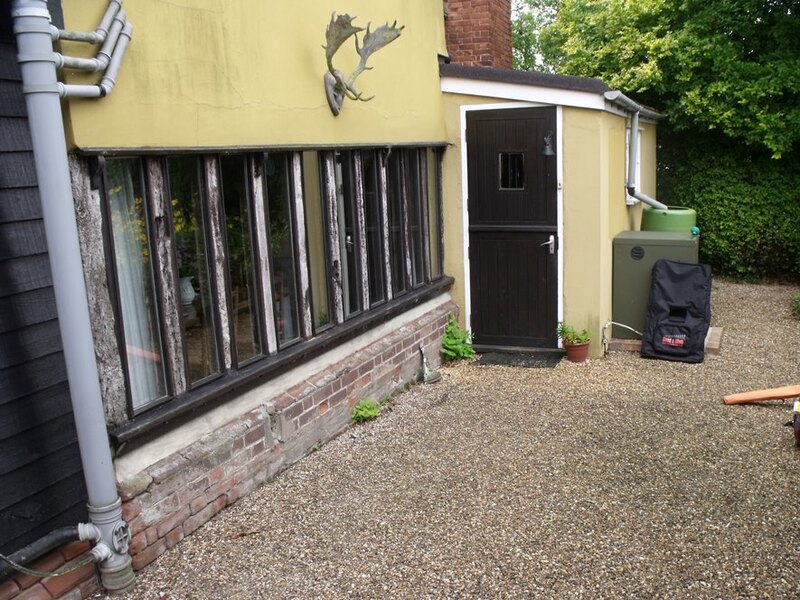 The original cottage had an ugly rear felted flat roof 1970’s addition, which we identified as the best and most logical place to join to the existing building. 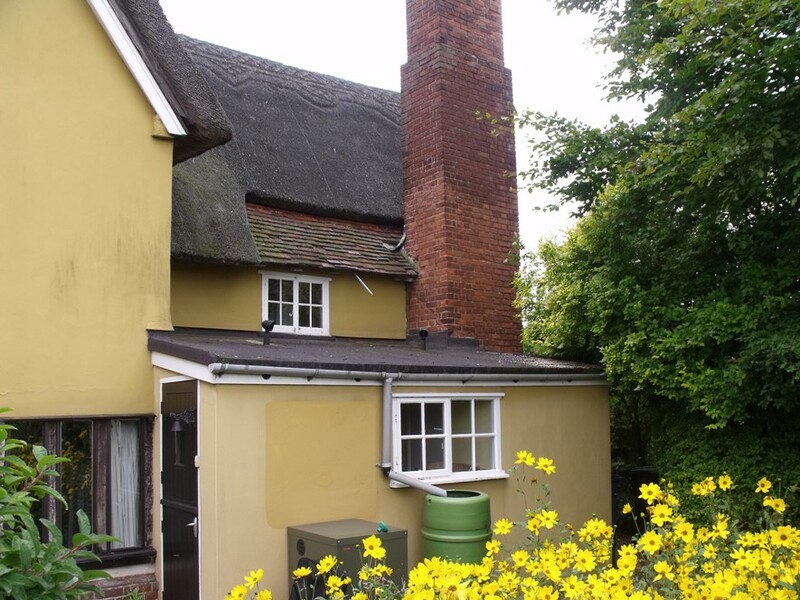 We had a pre-application meeting with the Heritage officer and although we encountered a few problems initially, which when resolved, produced a successful scheme and both planning permission and Listed Building Consent were obtained. 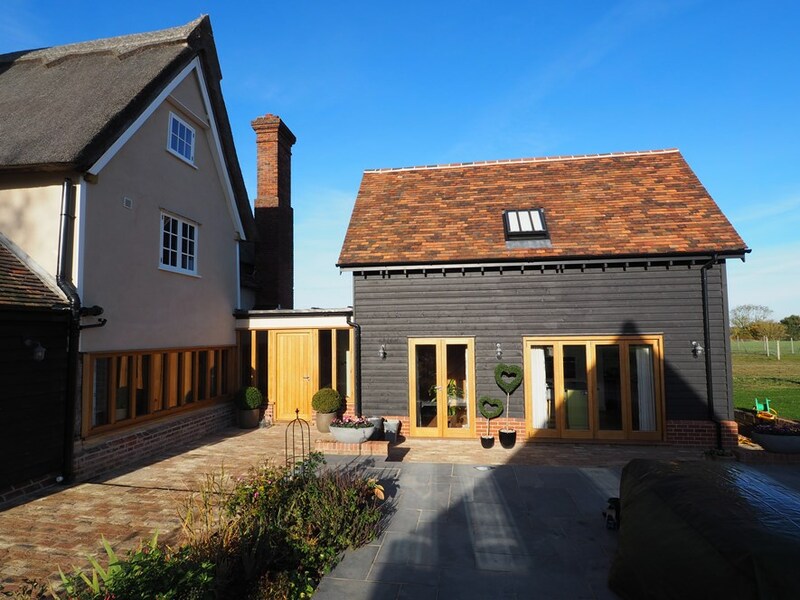 The extension is designed to respect the listed cottage, by way of the new link block being subservient to the cottage and therefore allowing the 2 storey extension to appear visually separate from the cottage. 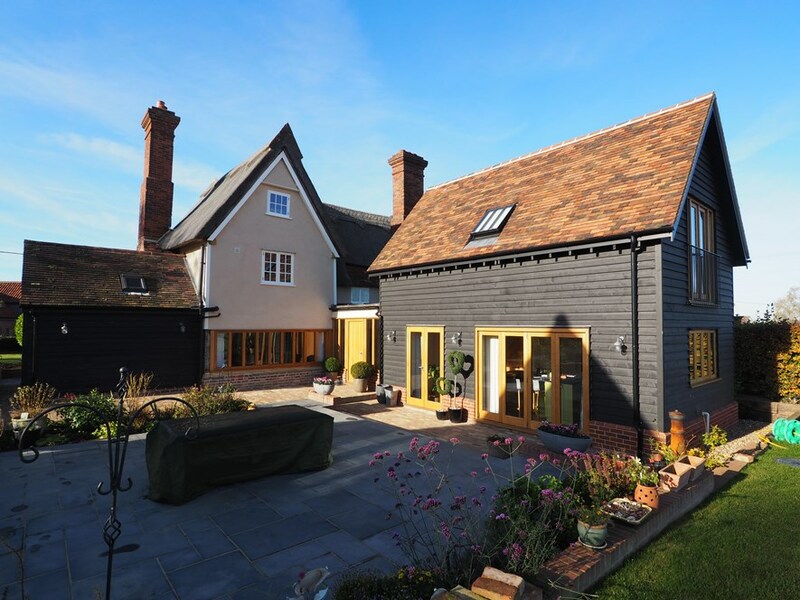 The finishes on the link block were chosen to blend with the cottage, whilst the 2 storey part is in contrast to the original building, with weatherboarding and a plain clay tile roof giving the impression of a converted outbuilding. 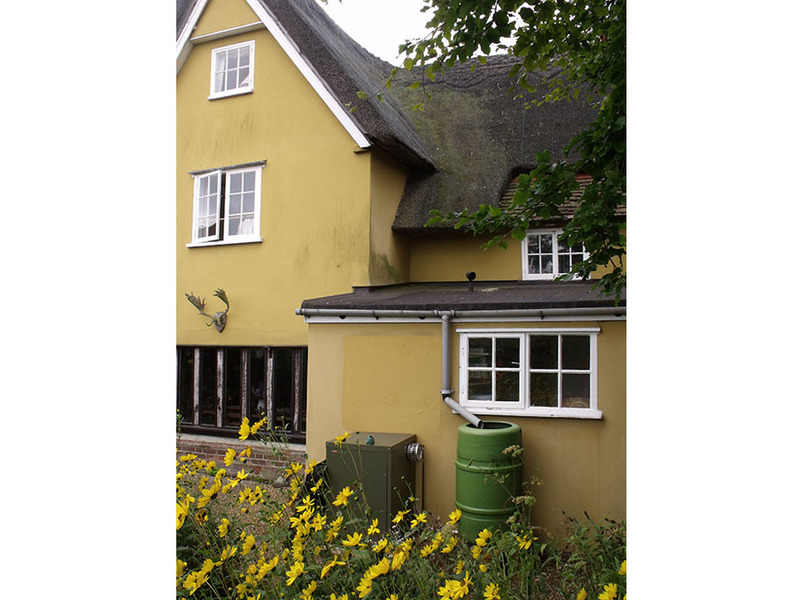 The rooms and spaces required were achieved and had the added benefit of improving the rear access into the cottage too. 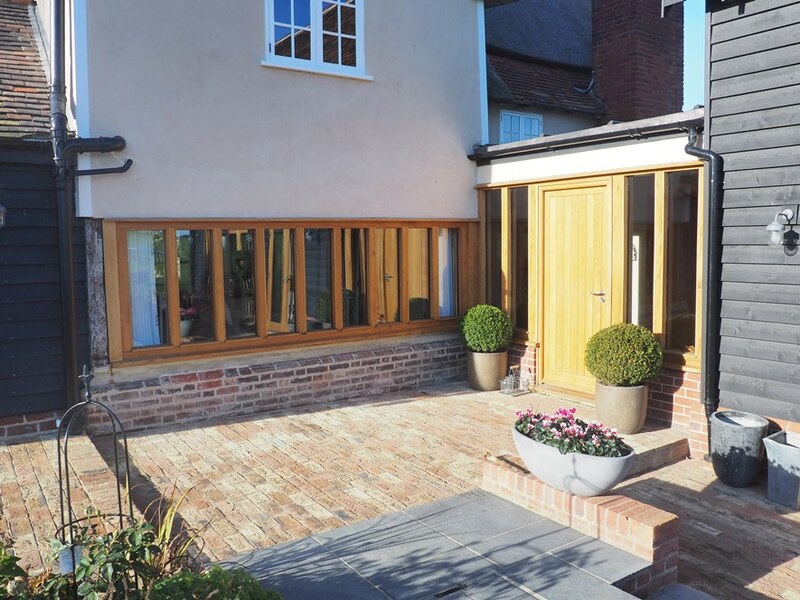 The project has resulted in the client requirements being fulfilled and together with excellent landscaping, looks very good indeed.